Home / TALK OF THE TOWN / "The Dark Knight Rises" at Ayala Cinemas! "The Dark Knight Rises" at Ayala Cinemas! Warner Bros. Pictures and Legendary Pictures brings to the screen “The Dark Knight Rises,” the epic conclusion to filmmaker Christopher Nolan’s Dark Knight trilogy. Leading an all-star international cast, Oscar® winner Christian Bale again plays the dual role of Bruce Wayne/Batman. Also starring are Anne Hathaway, as Selina Kyle; Tom Hardy, as Bane; Oscar® winner Marion Cotillard as Miranda Tate; and Joseph Gordon-Levitt, as John Blake. Returning to the main cast, Oscar® winner Michael Caine plays Alfred; Gary Oldman is Commissioner Gordon; and Oscar® winner Morgan Freeman reprises the role of Lucius Fox. “The Dark Knight Rises” is now showing at different Ayala Cinemas - Glorietta 4, Greenbelt 3, Alabang Town Center, Market!Market!, Trinoma, Ayala Center Cebu, Marquee Mall Angeles, Abreeza Davao and Harbor Point Olongapo. Check out Ayala Malls Cinemas’ www.sureseats.com for your all-access pass to exclusive “The Dark Knight Rises” movie events and promos. 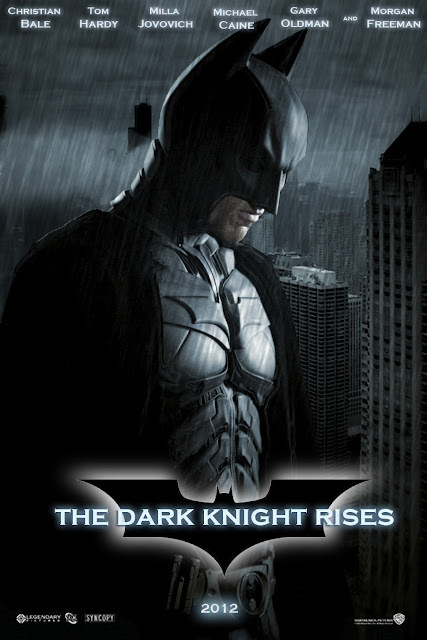 Opening across the Philippines on July 19 in IMAX, 2D and regular theaters, “The Dark Knight Rises” is distributed worldwide by Warner Bros. Pictures, a Warner Bros. Entertainment Company. Below is the official full movie trailer of "The Dark Knight Rises". Enjoy!